Denny Hamlin finished second in Sunday’s Coca-Cola 600 at Charlotte Motor Speedway in the #11 FedEx Ground Toyota for his best career finish at the 1.5-mile oval and seventh top-10 finish in 2012. Starting from the eighth position, Hamlin spent the first half of the race in the back of the top-10. The crew made several adjustments to try to free up the car, and while the handling improved slightly, the team was still looking to gain valuable track position for the final 100 laps of the race. The opportunity presented itself during a caution with 80 laps to go. Crew chief Darian Grubb made the call to keep the car on the track when the majority of lead lap cars headed to pit road for a pair of tires. The decision paid off and sent Denny to the front of the pack coming out of the restart. Hamlin would lead twice for a total of 13 laps before giving way to eventual race winner Kasey Kahne. The second-place finish moved Hamlin up one spot into third place in the NASCAR standings, only 16 points behind leader Biffle after 12 of 26 regular season races. 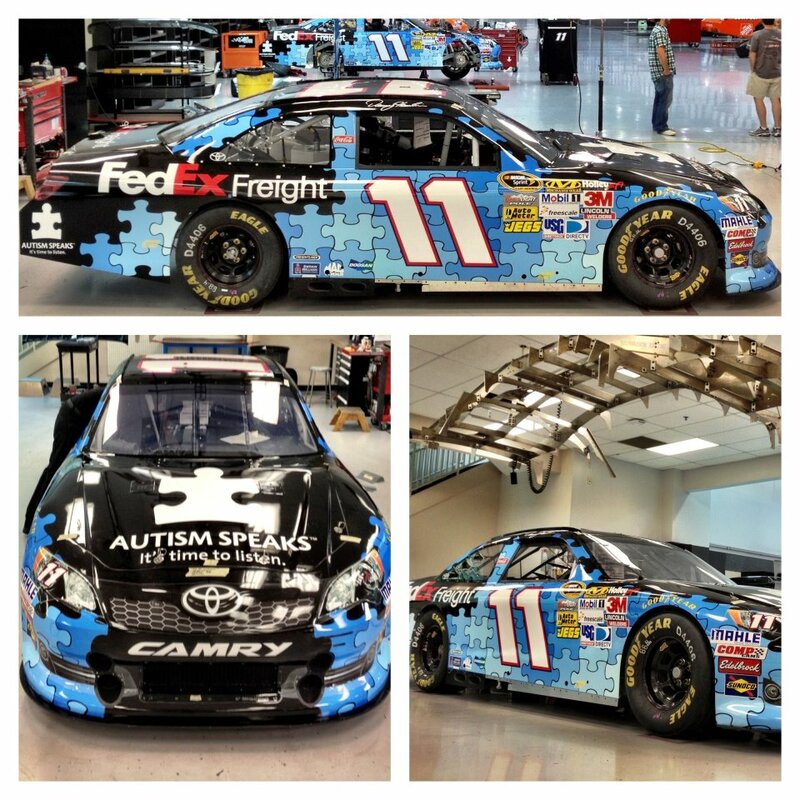 The Series heads to Dover International Speedway for Sunday’s FedEx 400 benefiting Autism Speaks. It marks the second year that FedEx has been the title sponsor of the spring race at the ‘Monster Mile.’ The first 11,000 fans through the gates on Sunday morning will receive a #11 mini-diecast car that also doubles as a coupon to participating FedEx Office locations. Hamlin is making his 13th-career Cup Series start at Dover on Sunday, and has four top-10 finishes in 12 races on the tricky, one-mile concrete oval. His best finishes of fourth came in June 2007 and May 2010. He finished 16th in the FedEx 400 one year ago. The FedEx Freight service center in Youngstown, Ohio will be recognized with its code, “YNG,” on the b-post of the #11 FedEx Freight Toyota this weekend at Dover International Speedway. The Youngstown center manages shipments throughout northeastern Ohio and western Pennsylvania. How can the FedEx team continue its momentum of recent success?